Washington: President Donald Trump said Monday he was apologizing on behalf of the whole country to his new conservative Supreme Court justice after one of the most contentious confirmation processes in US history. “On behalf of our nation, I want to apologize to Brett and the entire Kavanaugh family for the terrible pain and suffering you have been forced to endure,” he said at the ceremony in the ornate White House East Room. “The Supreme Court is a team of nine. And I will always be a team player on the team of nine.... The Senate confirmation process was contentious and emotional. That process is over,” he said. It also comes in the final run-up to midterm elections on November 6. 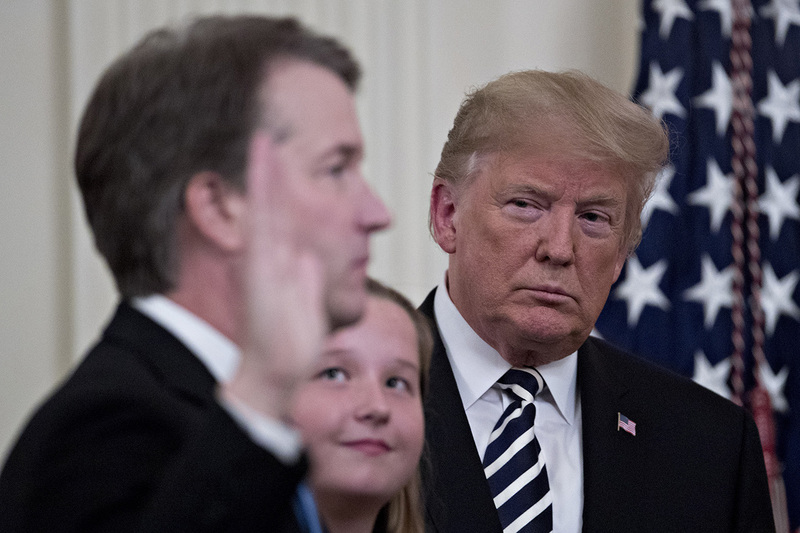 Kavanaugh officially took the oath in a more hurried, private procedure Saturday, but the White House version late Monday gave the Trump administration to perform the equivalent of a victory lap on live television.